We were fortunate enough to have July 3rd off so we had ourselves an awesome 4-day July 4th mini-vacation in our favorite place: Big Bear! Friends, fireworks, bikes, beers, sleep, movies, dessert, etc. 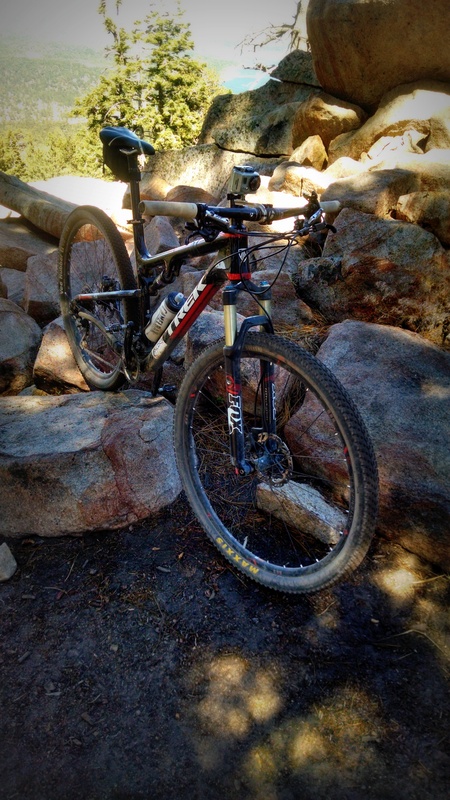 This post features the first ride of our trip – Hannah Flat singletrack and Gray’s Peak. 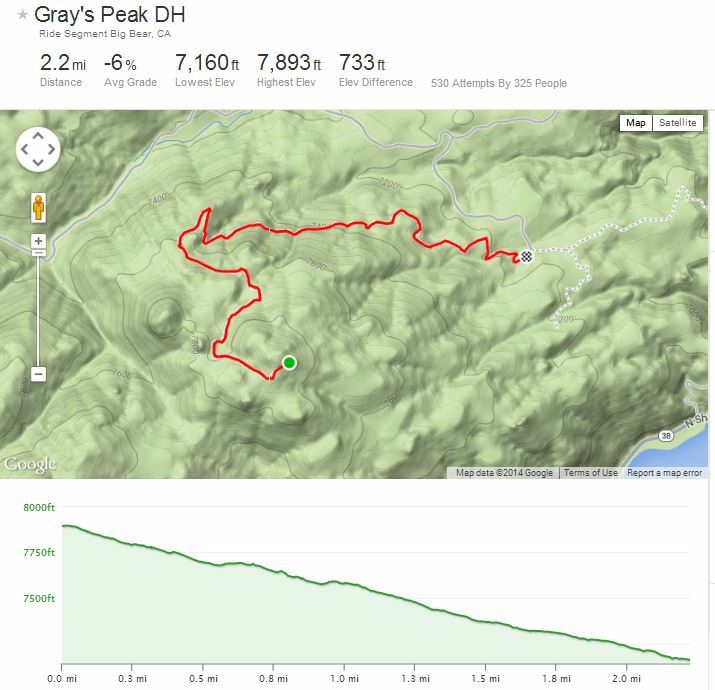 According to Strava, I’ve gone down Gray’s Peak 6 times. I wasn’t specifically attempting a PR for this run, but I got one. I was surprised too, because while the trail was completely free and I was able to carry good speed, I really had to pay attention on the loose turns (read, slow down). California’s drought has left the soils and DG quite loose so that even simple transitions and turns on the trail take some body english and finesse. It’s actually a fun type of riding since technical ability comes to the forefront. In other words, at times you’re wrestling with the bike and other times whispering sweet nothings coaxing it to stay upright. I must also commend the Trek Superfly 9.8SL that our team sponsor, Jax Bicycles, let’s us freely shred. It’s an incredibly versatile and capable bike. For 90% of mountain bikers out there, this bike will do what they want and then some. (The other 10% are those who require a minimum 6″ of travel & 4 red bulls before a ride) Without trying, I set a PR going up AND down Gray’s peak. This bike simply rocks. The Trek Superfly 9.8 SL. A.K.A. Trail Killer. Gray’s Peak (just to left and off the screen) and the Hannah Rocks in the background, above Fawnskin on Blue Quartz fire-road. 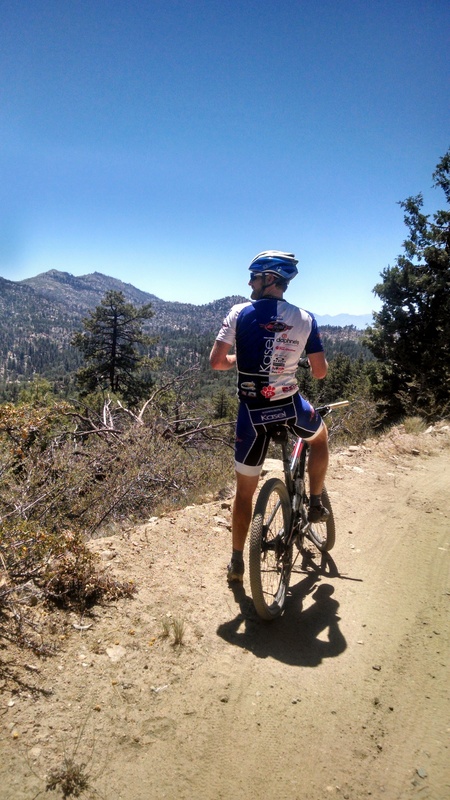 Sam laying down a fun tempo on Hanna Flat singletrack. How low can you go, Sami?